Pak Suzuki to launch the Suzuki Alto in Pakistan after the termination of Mehran. 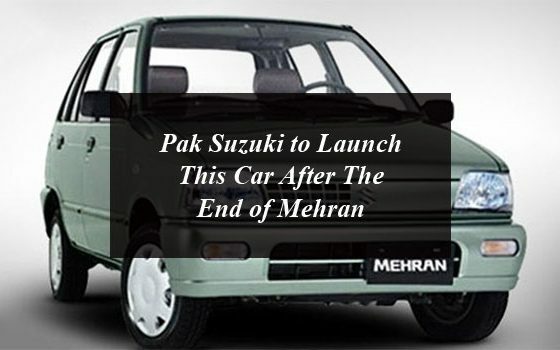 There is sad news for the lovers of Suzuki Mehran the company has discontinued the manufacturing of the Mehran. 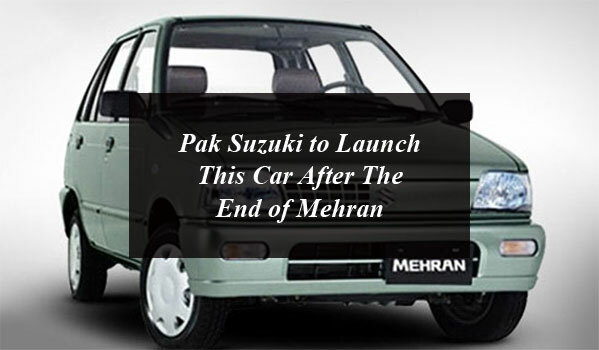 Suzuki Mehran is finally leaving its 30-year legacy behind in Pakistan. 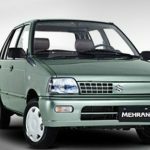 Mehran was available since nearly 3 decades of production with zero innovation and now the company has decided to bring the end of its bestselling car and all set to introduce its all new 660cc Alto in the country. Mehran arrived in the local market of in 1989 priced at Rs. 90,000. 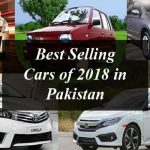 It became among the top-selling cars in Pakistan with the introduction of second generation in 2012 with EFI engine and up till now the car has not got more upgraded features and technology. In 2017, Pak Suzuki had sold 42,985 units and in 2018 the company had sold nearly 37,600 units of VXR and VX models, making it the top-selling hatchback. Pakistan is the only country where Mehran was still in production in 2018, whereas it had come to an end worldwide back in the 90’s. On the other hand the company was keep on producing the Mehran VXR model to cater the demand of Mheran lovers. In 2018 Pak-Suzuki has declared to launch just the limited Edition of Mehran and discontinue the Mehran VX model from December, now the company has officially declared to discontinue the all the variants of this bestselling car. Pak Suzuki has taken this decision in order to jump into the completion with European, South Korean and Chinese manufacturers and also thanks to the Auto Policy 2016-21. It is expected that the company will add some features in Suzuki Alto 2019 which would be the latest edition by the company with the 660cc engine whereas the Mehran has 800cc engine. The company has not started the production of the Alto. Alto is a kei car made by Suzuki. Its selling points have long comprised a low price and good fuel economy. The model, currently in its eighth generation, was first introduced in 1979, with a three-door cargo version of the Fronte passenger car, furnished with a folding rear seat, and has been built in many countries across the world. The Alto insignia has often been used on many cars in Japan and in export markets, where it is regarded a city car. Pak Suzuki had revealed its plan to launch the Suzuki Alto in the country two years ago at the launching ceremony of the Suzuki Cultus in 2017. At the launching ceremony of Suzuki Cultus 2017 in an event in Lahore on 22nd April the General Manager Marketing Pak Suzuki Azam Mirza revealed that the company had a plan to replace the existing Mehran 800cc with the new Alto by 2018. But the company has started the production the Alto in 2019 after officially terminating the Suzuki Mehran. It is also expected that the company will put the new 660cc Alto for display in the Pakistan Auto Show in Karachi starting from 12th April. According to the reports the vendors have been given schedule for purchase of parts from the company and several orders have been already received in this regard. The sources also added that the Pak Suzuki Motors is likely to be present the Suzuki Alto in Pakistan Auto Show from 12th to 14th April, 2019. It is not yet clear that the Suzuki Alto 660cc will have the locally manufactured parts or the imported ones, but the vendors revealed that the 50 per cent of the parts of Alto are locally manufactured and rest of the 50 per cent will be imported. The vendors added that with the increase in production in the coming years, local production of the parts will increase, which means that the price of the new car will be higher if the value of rupee devaluation remains higher than the dollar. It is noteworthy that despite the numerous claims of local production of auto part increase, and the low exchange rate the prices of the vehicles have been increased from January 2018. Pak Suzuki has increased the prices of its vehicles several times since the start of 2019. According to the Suzuki Motor, the company has adjusted 80% vendors selling and manufacturing 660 CC ‘Alto’ parts and other accessories, therefore the new vehicle will be manufactured and sold locally at higher level. What to Expect in Suzuki Alto 660cc? Suzuki Alto will be having the 660cc engine and completely be manufactured in Pakistan but the reports suggest that the engine will be imported with the locally developed transmission, similar to one that is presented in the currently assembled Suzuki Wagon R.
The new Alto 2019 would be a fuel efficient vehicle and is particularly planned using the ‘Suzuki Green Technology’. Pak-Suzuki claims its fuel economy is 37km/liter, which is very competent for a non-hybrid car. The other features includes 7 Airbags, Collision Alert, Retractable Side Mirrors, Keyless Entry, Push to Start, Traction Control & VSC and many other. There will be a total three variants of the car; two manual variants and one fully loaded automatic variant. The high spec manual and fully loaded auto variant will come with a power steering. The two high-spec manual variants may cost round about 8 to 9 lacs, whereas the fully loaded automatic version will be sold more than one million. However, there is no official confirmation regarding the prices and availability of the Suzuki Alto 2019 yet.